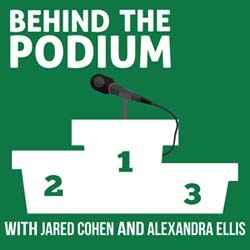 Today, Jared and Alex go behind the podium with Isabelle Barter, a coach and movement educator that has an insatiable appetite for continuing education. Isabelle is the founder of Stronger Human and Movement is My Medicine, a 200-hr experienced registered yoga teacher, Yoga Tune Up® teacher, Strong First Kettlebell Level 1, Z-Health, Functional Range Conditioning, and the Functional Movement Screen. What do “aligned” and “alignment” really mean when it relates to movement? Starting Strength: Basic Barbell Training, 3rd edition by Mark Rippetoe et al. Jules Mitchell – Interesting study on hot yoga and levels of exertion and core temperature.